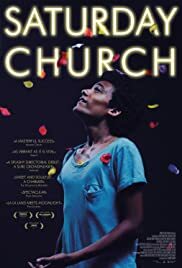 I has seen the Saturday Church trailer on IMDb two months or so ago, and was intrigued. However, after seeing it's release date in January, I was cautious to expect grandeur. In some aspects, my caution proved true. The dialogue and acting in parts was off beat and awkward, and certain mood shifts (especially with musical numbers) made the seams of this film all the more noticeable. However, you could feel the love in every scene and character. Each cast and crew put their heart into this project. That's the most important part in creation. And while the musical scenes cause a bump in the film, as they continued they didn't feel out of place anymore. 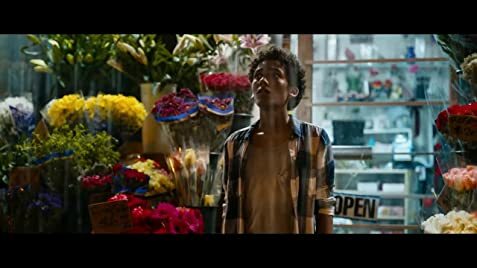 This movie is of course about drag culture, and the black LGBTQ youth and community. Theatrics aren't awkward or forced, they're innate to those communities. I saw this film the day after Call Me By Your Name. And while it may be unfair to compare the two, as they are vastly different and cover different subject matters, I will say that Saturday Church fully exceeded CMBYN, in style, tone, and joy. I would like to see this crew turn out a film with more resources and support for their visions, because I believe they are on their way to being great filmmakers. I gave this film 7/10 because of technical reasons. A seamless film brings the audience deeper into the story and, unfortunately, this movie wasn't seamless. But I'd highly recommend that everyone see this movie.